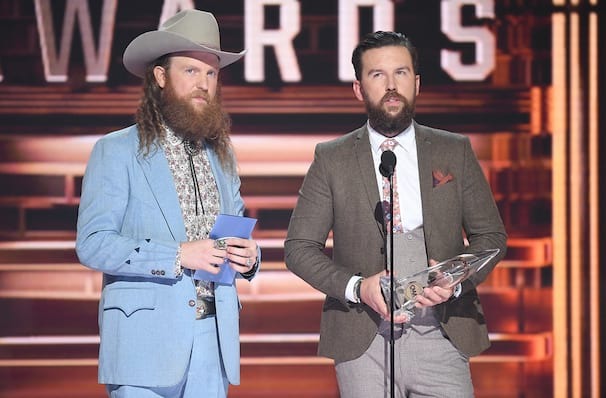 Heartland country rockers The Brothers Osborne were born and raised in Maryland on their father's rich record collection, which influenced nightly jam sessions to the sounds of Bob Seger, Tom Petty and Hank Williams. Relocating to Nashville, it wasn't long before the dynamic duo was picked up by Warner and climbing the charts with debut, platinum-certified singles 'Stay A Little Longer' and 'Rum', releasing their critically acclaimed debut album 'Pawn Shop' in 2016. The Grammy nominees dropped their Sophomore effort 'Port Saint Joe' in early 2018 and continue to tour in support during the winter of 2019. 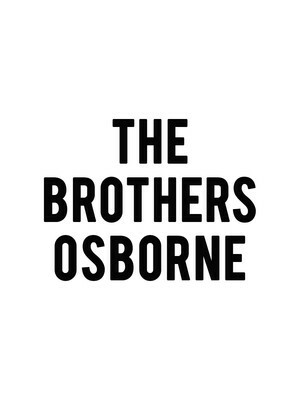 Fusing the gravel-toned deepness of T.J Osborne's sonorous vocal timbre and John Osborne's steely sliding guitar licks, the brothers' have earned much praise for turning their electrifying on-record-sound into soulful, charismatic live performances. Having shared the stage with the likes of Little Big Town, Dierks Bentley, Miranda Lambert and Eric Church, they're well on their way to becoming veteran performers who know how to whip up the crowd with their bluesy, swinging, Southern-fried songs. Chronicling whiskey-drenched reveries from the rural American climes, their harmonies and lyrics form a social commentary that touches on a range of issues from gun violence to racial injustice. Sound good to you? Share this page on social media and let your friends know about Brothers Osborne at Cape Cod Melody Tent. Please note: The term Cape Cod Melody Tent and/or Brothers Osborne as well as all associated graphics, logos, and/or other trademarks, tradenames or copyrights are the property of the Cape Cod Melody Tent and/or Brothers Osborne and are used herein for factual descriptive purposes only. We are in no way associated with or authorized by the Cape Cod Melody Tent and/or Brothers Osborne and neither that entity nor any of its affiliates have licensed or endorsed us to sell tickets, goods and or services in conjunction with their events.